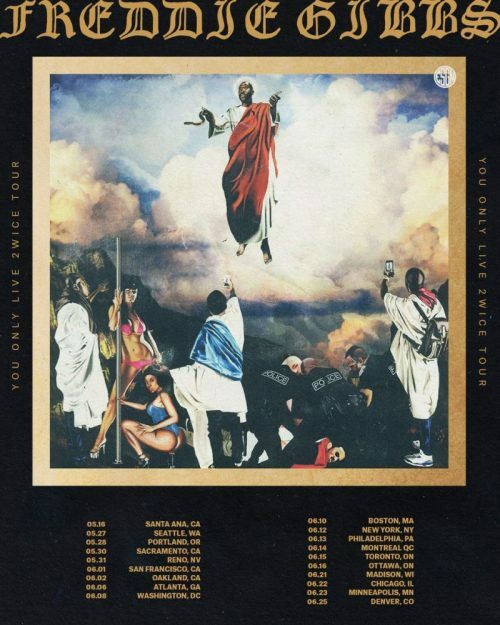 Not even a full week after releasing his comeback project, You Only Live 2wice, and getting a second chance at life, Freddie Gibbs announced earlier today, he’s now set to embark on the You Only Live 2wice Tour. A U.S. tour in support of the comeback project, which will be his first stateside trek since he avoided sexual assualt charges in Austria last October. 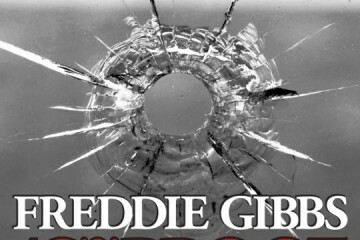 Starting on May 16th in Santa Ana, California, Gibbs will hit up such big name cities as Chicago, Atlanta, New York, Boston, Philadelphia, Toronto and more during the tours current 19 dates, which you can see on the flyer up above. Though he said he plans to add more dates throughout. You can currently cop tickets at ESGN’s website here. For those here in the Gary, Indiana natives second home of Chicago interested he will be at the Metro on June 22nd.